The significance of hasta mudras in Indian dancing and acting, two art forms that are intimately intertwined and share the same name, Natya, extends equally into the arts of sculpture, painting, and other fine arts. Hasta refers to hand. Mudra is a Sanskrit word that means sign, seal, or image. Thus a hasta mudra is the hand and fingers placed in a specific form, thereby creating a hand sign or hand symbol. I must explain the theory of rasa, Indian aesthetic theory, in order for us to see the significance of the hasta mudra in this context. Rasa literally means liquid. It also implies savoring the essence of something. Indian aesthetic theory is based upon the idea that the ultimate goal of any art form is to lift the audience to a higher level of consciousness through the joyous savoring of a performance, likening it to a spiritual experience. This can be achieved only by following certain strict guidelines.  These guidelines are treated expansively by Bharata within the Natya Shastra. In analyzing Indian dramatic arts such as dance, one finds that they are poetic interpretations of life rather than imitations. Rarely are sets, props, or scenery used to create an image in the mind of the audience. These arts are highly symbolic, representational and stylized in nature. Their complete appeal is felt solely by a rasika, a cultivated audience member, who can unravel and appreciate the deeper meaning of the symbols seen on stage. A rasika is one who is easily able to utilize his heart and imagination, grounded in an initiated mind, to extract and savor the essence of aesthetic experience within a performance. Just as a playing child sees a red fire truck in a plastic box or a puppy in an old sock, the initiated audience member, through his own imagination, can see deer bounding on the stage in the gesture of a hand or a fierce battle in the sharp movements of a hand symbol. The hasta mudra is an example of a symbol used in this manner to represent and interpret something in real life. 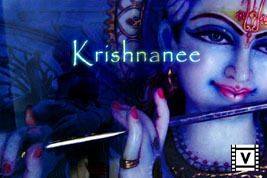 It is interesting to note here that the vast pantheon of Hindu gods, their activities, creatures of the netherworld and heavens, and various ethereal beings are all considered fair topics and characterizations to be represented through hasta mudras, although we would not ordinarily consider them to be part of real life. By Indian dramatic standards, mythological stories of gods and creatures are considered to be highly relevant themes for plays and dances. In fact, many of these stories are used to convey moral, spiritual, or philosophical values. In the video clips presented here, one can see the use of hasta mudras along with angika abhinaya, body language, to tell the tale of Lord Shiva, the great dancer, and Krishna, the divine cowherd. 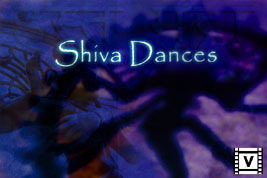 In the dance of Shiva, the dancer is playing the role of a narrator in which the hasta mudras are used to symbolically illustrate the story of what happened when Shiva danced. In the story of the child Krishna, the hasta mudras are used to show various gestures that the youngster would actually make as a child playing. They are used in both a stylized and natural manner. Video clip showing the use of Hasta Mudra in Bharata Natyam dance piece about Lord Shiva. Video clip showing the use of Hasta Mudra in Bharata Natyam dance piece about Yoshoda and Krishna. Thus, the significance of the hasta mudra can be seen in its power to represent and interpret ordinary and extraordinary characters and events, objects and thoughts, qualities and even feelings. It is a symbolic tool that conjures up a vivid reality in the mind of its educated observer.